What does the programme title mean, and what does it entail? The programme is a general-purpose drama qualification, for want of a better term. This course is different from others in the country in that it does not solely focus on stage performance and the script. The courses already available don’t reflect the work that most practitioners I know do – hey work in and as part of the community in an applied way. Their ways of working now are less and less in theatre; their work is site-specific and contemporary- school/ health settings. I homed in to these two areas and CATS provides a strong foundation in traditional practices and covers areas like digital theatre (unavailable elsewhere), applied theatre, cultural policy and administration, costume and lighting, drama and education. There was a lot of thought put in to the practicality of the course and employability of graduates. I don’t want to train and educate unemployed actors; I want to train drama practitioners who I am happy working alongside. It is standard UL programme; year one, two and four are on campus and year three is off campus, be it studying abroad or working. Year four contains an Undergraduate Dissertation; written or performance based. The course is 50/50 theory/ practical – half the time in the classroom and half in the studio. Who would the course appeal to? It’s not an actor training programme, I’m very clear on that; there are plenty of people interested in theatre but not acting. While students interrogate and practice acting it is suited to people who see beyond stage performance. It appeals to young people and mature applicants alike. We currently have two mature students with more mature applicants in for next year. Current students want to progress as directors, drama teachers, techies, designers – a broad spectrum. You’ve already touched on how this course differs from others, would you like to expand on that? CATS doesn’t focus on the stage or the text but the space between. Our two academic pillars of the course are the notion of ensemble (the collective) and of a socially conscious theatre: a theatre that doesn’t always seek to change the world but will always speak to the world and respond to the world. These are quite distinct from other courses. Can students further their studies upon graduating? Of course!While many will be ready and happy to go straight into the workforce it is much more common practice now to continue studies to Masters and Doctorate level. Naturally it depends on how creatively and intellectually ready the individual feels. Why is Mary Immaculate College a suitable location to study theatre? 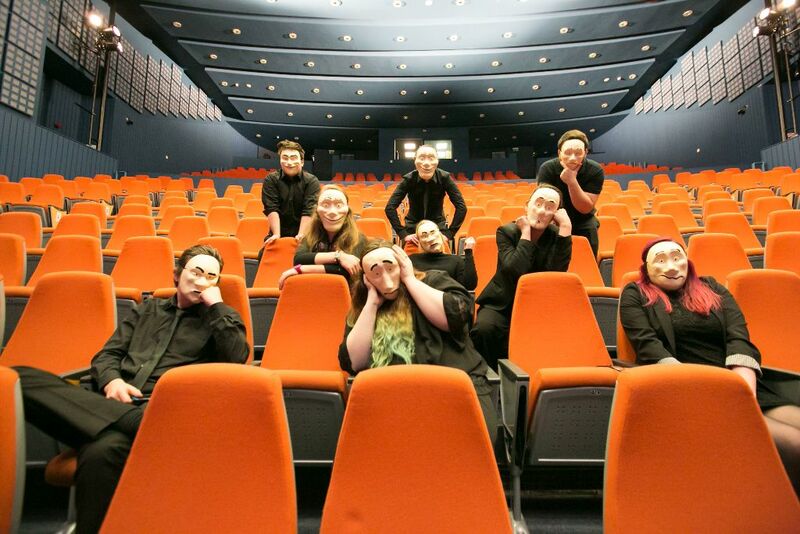 We are the only campus in Ireland with access to two professional theatre spaces. The Lime Tree Theatre is a big reason we developed CATS, in order to tie the theatre into the academic practices of the college. We have an incredibly vibrant artistic life on campus, between the Live Music Society, Writers Society, and Dramatic Arts Society among others. Drama has been part of the campus for over a hundred years, we’re just formalising that. Limerick City is very creative and theatrical and we are in the heart of Limerick City. Why not is more the question? It’s a no-brainer. What is your role in the course? I’m the course designer and Head of Department. I’m involved in teaching and learning, assessing and running. What I’m trying to do is build a team of theatre academics and practitioners. This is only stage one of a long-term plan. We hope to increase the PhD students to 10 and to have a fulltime taught MA in drama. I want to develop a really energised, engaged, academic and practice-driven unit in Mary Immaculate College, which can be a national and international leader. The raw material is here. How many students can you take in each year? 20 to 30 into our undergraduate, 10 to 12 into our taught MA and two to three PhD students in any year. I want a small but vibrant department, about 150 students when it is fully rolled out. I want students to have strong personal relationships with the staff they encounter because, for me, teaching is about relationships; students have a better educational experience when they get to know the faculty. I’ve spoken to a lot of Mums, Dads and secondary students and have brought them in explaining what we do. If there is anybody who wants to know more about the course and the facilities- just ask! We have a chat back facility online, we’re on all social media platforms, pop me a mail and check out the website.